Photo: Cruising along the north coast. The second largest of the islands in the Alor Archipelago, Pantar sits almost immediately to the west of far larger Alor. To say it receives few foreign visitors is a slight understatement, but that’s not to say it isn’t worth a stop. Pantar is vaguely shaped like a rocket-ship about to leapfrog over the northwestern coast of Alor, and its capital Baranusa sits on the island’s north coast, nestled between the fuselage and the tail-mounted engine (ok we’ll drop the rocket-ship imagery now). Pantar has two primary claims to fame, at least as far as tourism is concerned: Gunung Sirung, which dominates the far south of the inland and, to the west of there, Pantai Tiga Warna (Three-Colour Beach), a very attractive and largely deserted beach. The active traveller could fit these into a single day (we did) but there are a few other points of interest could entice for a second day for those with time on their hands. About an hour from Baranusa by sampan off the northern coast of Pantar sit two small islands side by side, Pulau Lapang to the west and Pulau Batang to the east. 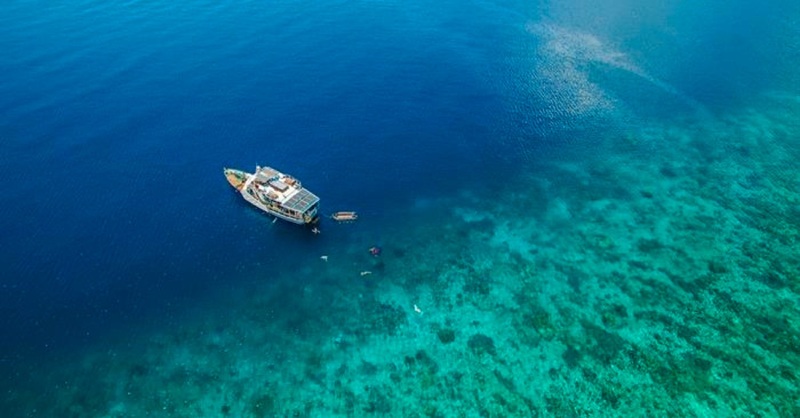 The former offers some truly spectacular snorkelling, while the latter is certainly a possible candidate for camping, or just playing Robinson Crusoe for the day (its reefs, or at least the two we snorkelled at, have been bombed to pieces by fishermen). Lastly, also to the north of Baranusa, but to the east, a little south of the village of Kabir are some underwater thermal vents (hot springs) where you can snorkel in unusually warm water. We didn’t try this ourselves as we didn’t learn about them until we’d reached Baranusa, but they could be worth a look, especially if you end up in Kabir, as we did. Baranusa has no ATMs or money changers. At the time of writing, electricity was available from 18:00 to 06:00—be sure to charge your gear overnight. There are no internet cafes in Baranusa. We were able to get a very patchy EDGE connection via Telkomsel Speedy but it was inconsistent and variable. Save a few good stretches, roads are generally of a poor standard and there is very little signposting. We got around uniformly by ojek, though groups could organise a small fallback truck to get around in. We saw not a single car, though as we were leaving a large 4WD jeep was being offloaded onto the pier. Like the ATMs, electricity, internet and smooth roads, getting food in Baranusa can be a bit hit and miss. A small warung just down from Mukhtar Abdullah Accommodation offers rice, fish and perhaps some vegetables, but it is not always open—it was open only one of the three days we were in Baranusa. Otherwise you can pick up snacks at the morning market by the boat landing, instant noodles from the hardware store or perhaps some simple fried snacks opposite the hardware store (early evening only). The hardware store also sells ice-cold beer, cigarettes, water, coke and, well, hardware stuff. A small police station and post office are a 15-minute walk from the pier—head away from the pier till you hit the road and turn left. There are no real medical facilities that we came across and for anything serious we’d recommend heading straight to Kalabahi on Alor.  Please sign up as a Travelfish member to download the Pantar guide PDF (3.4 MB, 16 pages). Membership costs just A$35 per year (less than A$1 per week) and gives you access to over 250 PDF guides. Browse our independent reviews of places to stay in and around Pantar. Check out our listings of things to do in and around Pantar. Read up on how to get to Pantar. Planning on riding a scooter in Pantar? Please read this. Use the above map to find specific destinations in and around Pantar which are listed on Travelfish. Bed icons indicate a guesthouse, hostel or hotel, the knife and fork is an eatery or bar and the four-way circular thingy marks sights, attractions and other points of interest. Click on any icon for a short pop-up and a direct link to the page for that spot. If you are in the area, use the teardrop icon near the top left to show your position on the map (you'll need to allow position sharing for this last feature to work).